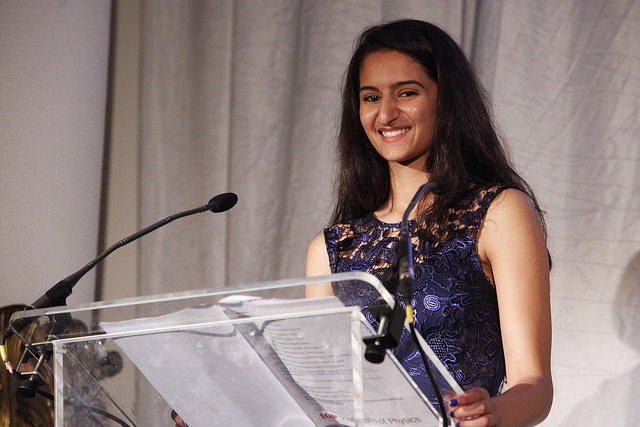 Kingsbury High School’s Sixth Form student, Jade Constantinou, was selected to co-host at the Institute of Physics (IOP) annual awards dinner which took place on Wednesday 15th October 2014. Jade spent her summer volunteering at, and signing up to, various Science, Technology, Engineering and Mathematics (STEM) organisations including the Science & Technology Faculties Council; spending a day at the University College London’s Observatory with Teaching Fellow in Astronomy, Dr Steve Fossey; a two week internship at Laing O’Rourke; and applying to the Social Mobility Foundation’s Aspiring Professionals Programme, where she was introduced to the possibility of becoming an orator for the IOP’s prestigious awards ceremony. The selection process involved an interview where Jade was up against students from various colleges. Jade was successful and was selected alongside, A Level Physics student, Renato from Woodhouse College in Finchley. Jade said “I received an email informing me that I had been chosen to be one of the orators for the event. The institute had never used students to present the awards before, so we had a lot of preparation in rehearsals. We wrote our own introductions and we had to know how to say all of the technical terms and names of the award winners correctly. It would have been quite embarrassing if we had mispronounced any names in front of all these great physicists and scientists. Photography: The Institute of Physics. View more here. 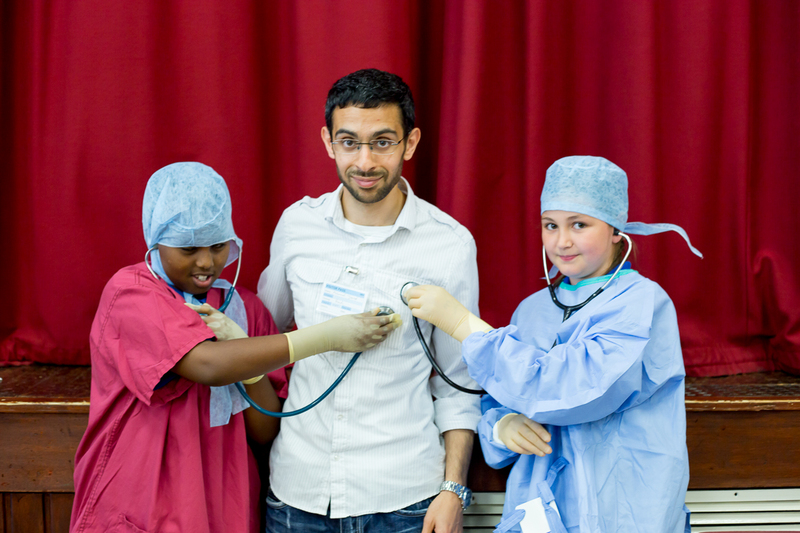 On Tuesday 8th and Tuesday 15th July 2014, former students, who are now working or training in the Science, Technology, Engineering and Mathematics (STEM) industries, were invited back to Kingsbury High to speak to current students about their experiences. 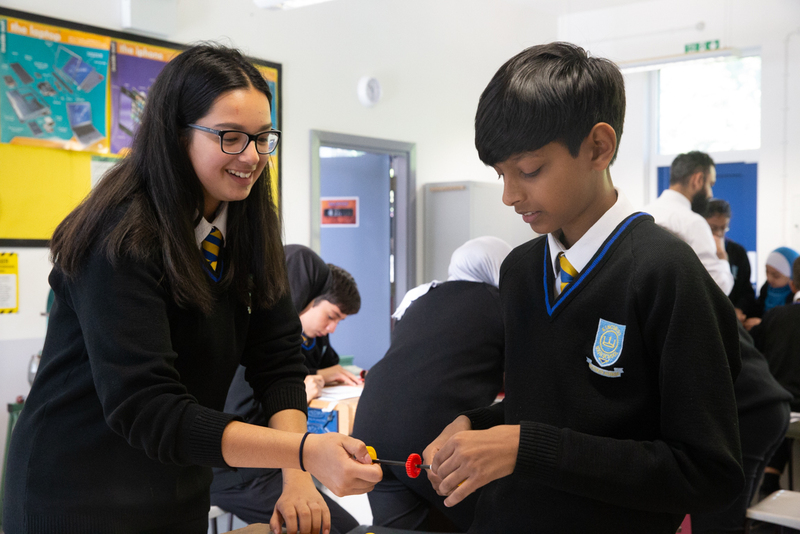 Kingsbury High School has been selected as one of just twenty five schools chosen to receive free LEGO® MINDSTORMS® Education EV3 STEM (science, technology, engineering and maths) resources worth £3,000 as part of a pilot of the Elite Engineering Programme (EEP). Kingsbury High School was chosen following an application and video entry to the EEP Schools Competition, followed by a campaigning process in England, Scotland and Wales. The judges prioritised schools that would benefit most from the new resources. They then considered how enthusiastic the school was and how much community support had been shown for the video application. 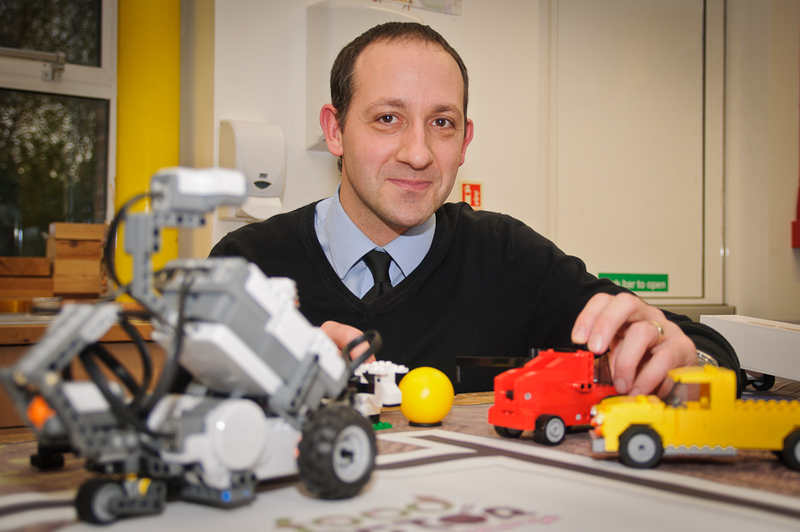 Kingsbury High School will receive LEGO® MINDSTORMS® Education EV3 resources for Key Stage 3 students (aged 12+ years) and will also receive free training for teachers, which will explain how to use the materials to deliver the STEM National Curriculum. Students will have the chance to use the LEGO® resources to build sophisticated programmable robots to compete against others, at regional and national contests.